Just like people, cats can develop allergies to things like pollen, grass and dust. Cats who spend time outside are more likely to get seasonal allergies than strictly indoor cats. If you think your cat may have allergies, read on. Keep your home allergen-free. To keep irritants out of your home, remove shoes when you come inside. Vacuum and wipe surfaces frequently, especially windowsills. Change filters in air conditioning and heating units on schedule, and consider purchasing an air purifier to keep pollen and dust at bay. Give your cat a bath. If your cat is sensitive to environmental triggers, it’s important to keep his or her skin and fur clean. 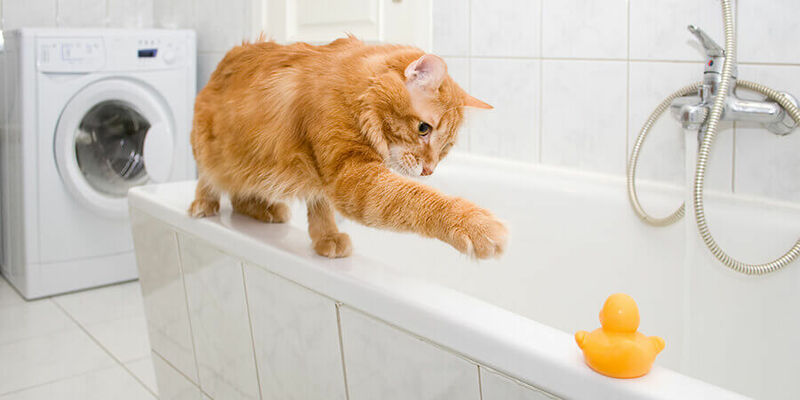 Regular grooming helps remove any allergens—try these tips for making cat bath-time a painless experience. If your cat spends time outside, rinse his or her feet daily. Look for other potential triggers. 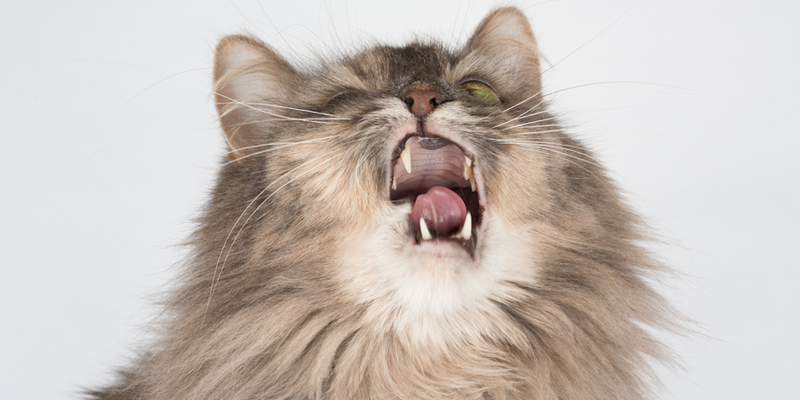 Something other than pollen or dust could be causing your cat’s symptoms. Flea allergies are relatively common in cats. If your cat has fleas, be sure to treat them promptly and persistently. (Here are some ways to get rid of cat fleas naturally.) Some cats may be sensitive to chemicals present in many popular brands of cat litter. Consider switching to a natural alternative like World’s Best Cat Litter™, which uses the concentrated power of corn to give you a cleaner litter box with no silica dust, artificial fragrances or other added chemicals. If you’ve done everything to reduce your cat’s exposure to seasonal allergens, and you’re still seeing signs of irritation, schedule a visit to a vet. Your cat may be suffering from an infection or something other than seasonal allergies. A pet health professional can help you get to the root of the problem. Cat allergies are no fun, but with a little persistence you’ll soon have a cat that’s happy and healthy—year round.